Australians are well-known for their capacity to travel on long-haul flights to all corners of the Earth, such is the geographical necessity of living in the antipodes. So, it’s fitting then, that the journey’s end for some of the planet’s most fascinating northern migratory bird species is Down Under. Visitors to Australia’s southern states have a rare opportunity to see them in-situ and experience some of the country’s most wild and pristine environments for themselves. Kangaroo Island, off the South Australian mainland, southwest of Adelaide, is one such wilderness. Covering more than 4,400 square kilometres, it is something of an Australian Galapagos, with a line-up of species – sea lions, penguins and koalas - that are prefaced with the words ‘rare’, ‘exotic’, ‘endangered’, ‘migratory’ and ‘native’. 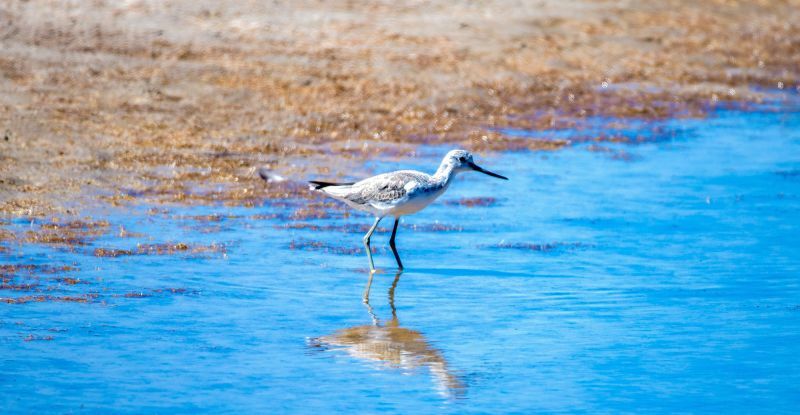 Craig Wickham, general manager of Exceptional Kangaroo Island, an independent tour operator providing sustainable wildlife encounters, says the island is also ground zero for classic shorebird migrations including Ruddy Turnstones, Common Greenshanks, Red Knots, sanderlings, Sharp-tailed Sandpipers and Whimbrels. “This is where species that breed in the Northern Hemisphere over the northern summer (China and Siberia for most of our species) depart to avoid a usually brutally cold winter,” he says. “They make their way south through a series of fly-ways with refuelling stops en-route through South-East Asia”. Eyre Peninsula, north west of Kangaroo Island, just east of the Great Australian Bight, is another wild and remote location that attracts migratory birds. Fran Solly, tour guide on Goin’ Off’s three-day birdwatching tour, says the Red-necked Stints migrate from Siberia to Eyre Peninsula between October and April each year. Another northern migratory seabird that can be spotted in about 280 colonies across southeastern Australia is the shearwater. One of the most fascinating rookeries is on Victoria’s Phillip Island, a wildlife oasis known for its Little Penguins and annual whale migration, and for being home to Australia’s largest fur seal colony. 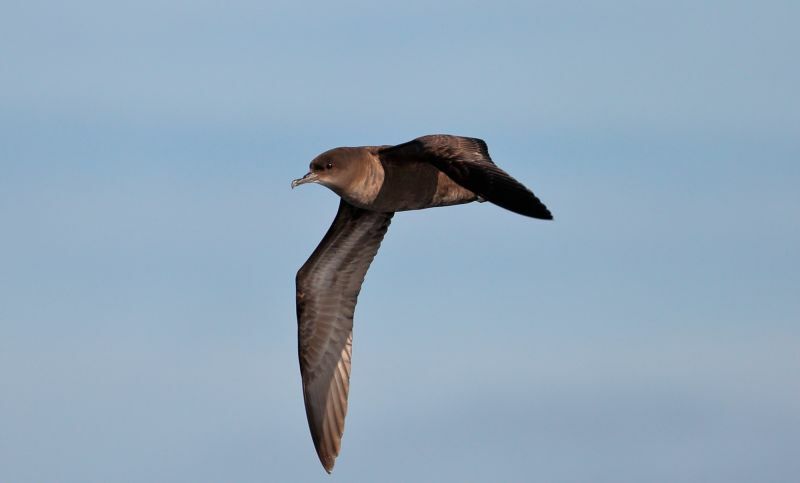 According to marine biologist Mikala Peters who oversees Wildlife Coast Cruises' eco-cruises, the shearwaters - the majority of which are Short-tailed shearwaters also known as mutton birds, migrate to Alaska’s Aleutian Islands during the winter months and return south in late winter and early spring. “September is the time when at least 500,000 nests are found in the island, especially on Cape Woolamai headland, a protected fox-free area… Shearwaters lay one egg, they hatch in January and fledglings take off in April/May following their parents on their annual migration,” she says. The best chance to see the shearwaters is at sunset when they return in their thousands from feeding offshore. Further south, off the east coast of Tasmania, Maria Island is a national park with wombats, Tasmanian Devils, Cape Barren Geese, kangaroos and wallabies. The island’s 125 bird species attract plenty of attention too. Ian Johnstone is the director of The Maria Island Walk, a four-day wildlife walking immersion on the island. He says all 12 of Tasmania’s endemics bird, including the endangered forty-spotted pardalote and swift parrot, have a home on the island. 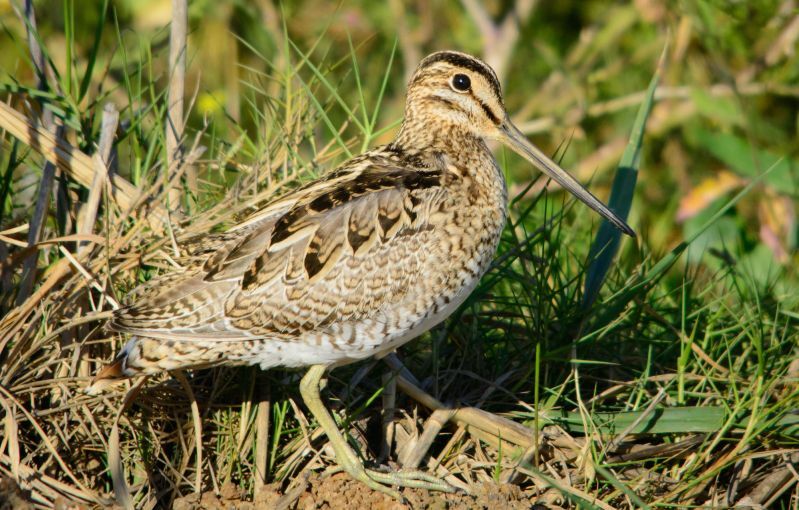 And it’s not short of northern migratory fly-ins such as Latham’s Snipe (or Japanese Snipe), seabirds that migrate from Hokkaido in Northern Japan to south-eastern Australia, and the aforementioned Short-tailed shearwaters. “Little Terns, which migrate huge distances around the world, and fairy terns, which migrate around Australia, are often seen on Maria too,” he says. “That’s a very inspiring reason for people to travel here too”. 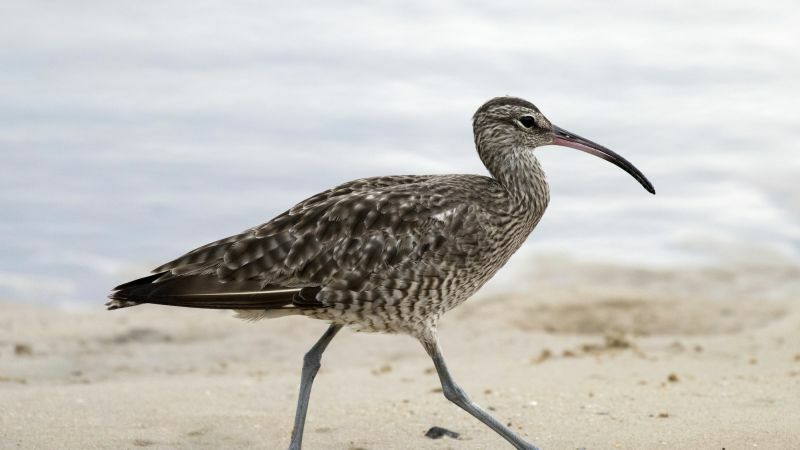 Search for birding experiences across Australia's coastlines with our expert guides here.